I enjoyed the uniqueness of this story and its setting, as well as the historical tidbits I gleaned as I read. Keturah and her sisters are compelling characters who set sail from England to take control of their late father’s sugar plantation. Upon arriving on the island of Nevis, the harsh realities of life assault them, and there is much to learn and overcome. I admired the dogged determination Keturah and her sisters showed in their endeavors and look forward to continuing the journeys of The Sugar Baron’s Daughters. 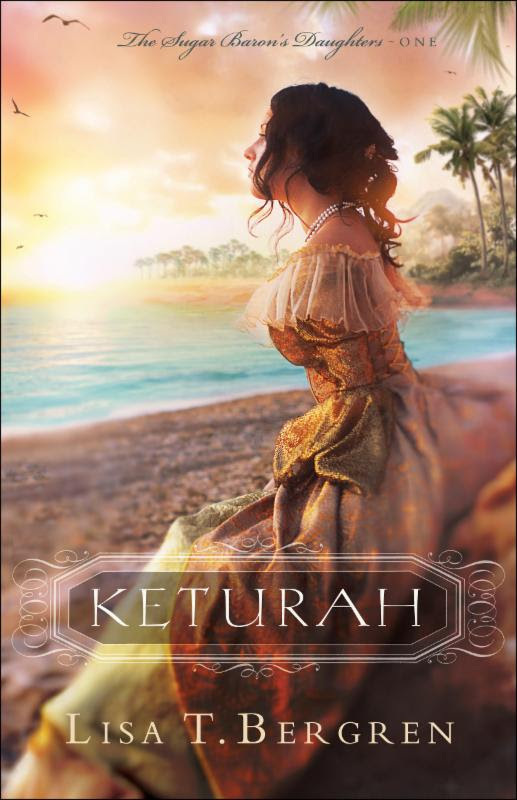 Click the image below to enter to win a copy of Keturah. Five winners will be chosen and announced March 13 on the Litfuse blog! Although it flies against all the conventions, they’re determined to make their own way in the world. But once they arrive in the Caribbean, conventions are the least of their concerns. On the infamous island of Nevis, the sisters discover the legacy of the legendary sugar barons has vastly declined-and that’s just the start of what their eyes are opened to in this harsh and unfamiliar world. Keturah never intends to put herself at the mercy of a man again, but every man on the island seems to be trying to win her hand and, with it, the ownership of her plantation. She could desperately use an ally, but even an unexpected reunion with a childhood friend leaves her questioning his motives. To keep her family together and save the plantation that is her last chance at providing for them, can Keturah ever surrender her stubbornness and guarded heart to God and find the healing and love awaiting her? Read what other bloggers are saying about Keturah.